To access this utility, go to 'File' > 'Import/Export Data' > 'Import Subcontractors from a CSV File'. Please note: should you have subcontractor CSV files to import for more than one company e.g. 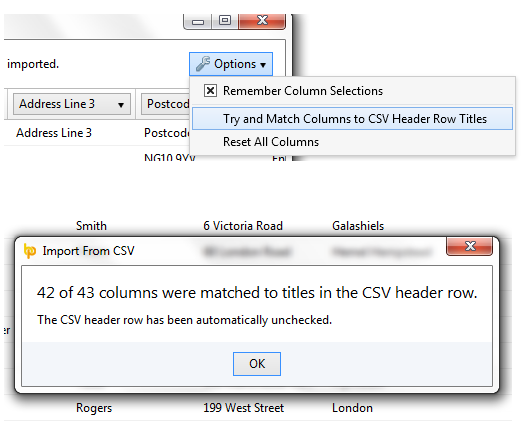 you are moving a number of companies across from a previous software, simply instruct BrightPay to 'Remember Column Selections' under the 'Options' menu. BrightPay will subsequently remember the column selection used in the previous import when next importing a new subcontractor CSV file. 4) Click 'Import' to complete the import of your employee information.